It’s two in and two out at Friendly Supermarket. And there’s always a line on second line Sundays. 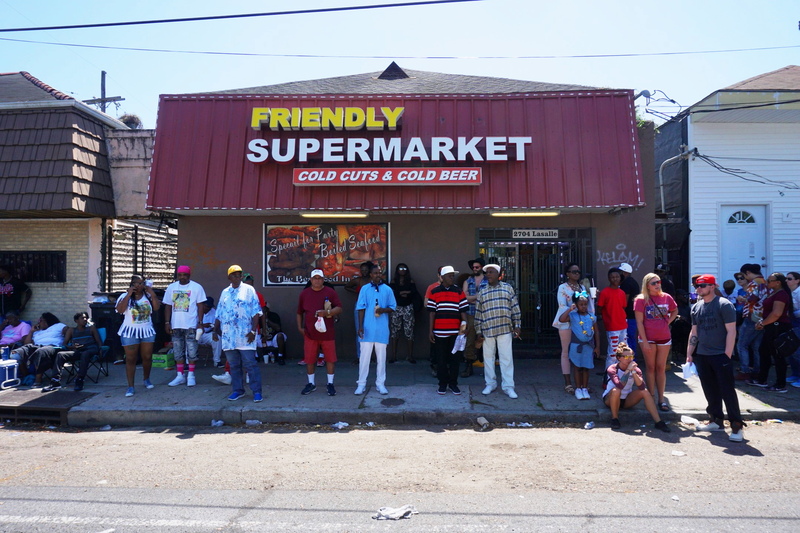 This entry was posted in Louisiana Daily Photo and tagged 2018 Super Sunday Mardi Gras Indian Party, Friendly Supermarket, Louisiana Daily Photo, rl reeves jr. Bookmark the permalink.